Hey babes! Happy Monday! I hope y'alls weekends were great and y'all enjoyed a Happy Mother's Day! I love a good quote or saying. From cheeky tees to cute sweaters---fun sayings are all the rage! As soon as I saw this light sweater I knew I had to pick it up! I always head into the men's department to see what kind of cute pieces I can snag and this was no exception! Do you have a favorite quote/saying piece in your wardrobe? Super cute!! Love this one! And you can rock a top knot like no other. Hola Giovanna! Thanks for visiting my page. I love this look. The lipstick, boyfriends, and sandals are such a great combination. So cute! 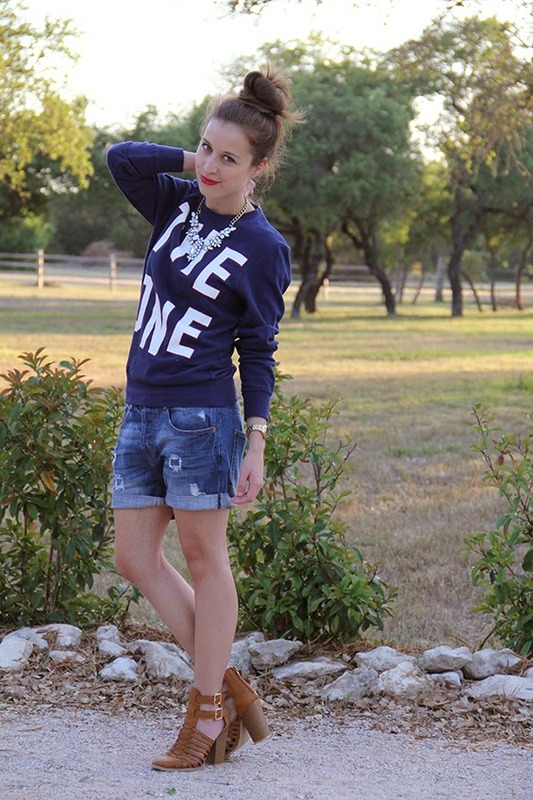 I love your shorts and sweater! Love this look! Such a cool outfit... I need those Zara shorts in my life. 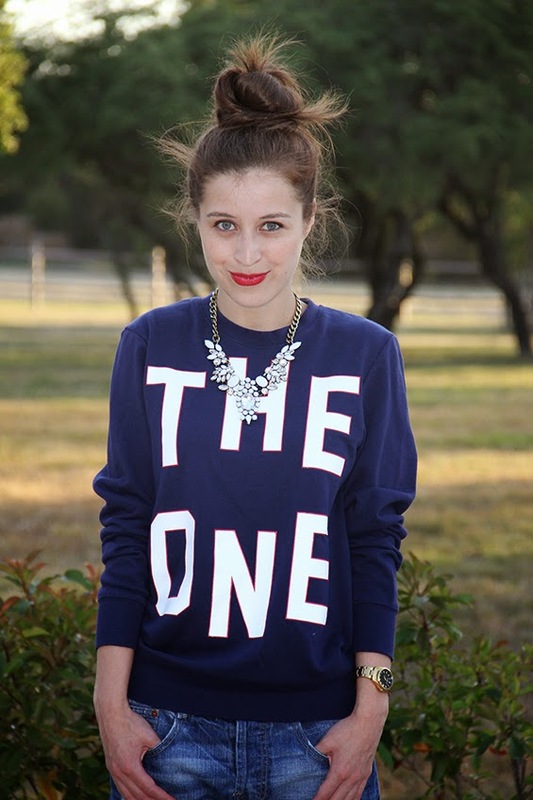 The statement necklace and lip is perfect as well. Fab post, doll! Tan guapa! Me encanta la camisa y los zapatos, estan bellos. Oh emmm geeee! LOVE those shoes! So cute! This look is soooo cute. I love how it is casual and dressed up at the same time!! love the statement necklace! really takes the outfit up a notch. win! This sweater is everything! Love! So chic!!!!! Love this outfit so much. You look so cool. Great outfit. I love men's section!!! Love your shoes. I'm obsessed with this look! Those shoes are awesome! Love that you found my blog because I've been scrolling through yours for the last 20 minutes and had to force myself to stop! Such cute fashion attire love! I love this look! Super cute! I just came across your blog and it definitely won't be my last :) Please check out my blog when you get a chance! This look is so cute!! love it.